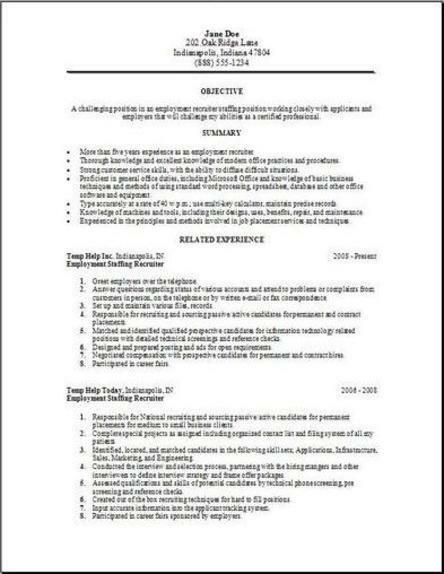 Finding a great free resume is a difficult task. Now that you are here, pass this information and free resume website to many of your friends using the e-mail option on the button below. Wanting to download our resume?--when file opens click save as--choose save on Desktop--with the same file name. When you decide that you want to edit it later, it is extremely easy to locate there. So why not just try this now. Make use of these 3 employment staffing resume formats by sitting down for 5 minutes and edit them. Just open the file then backspace through any sentence, then stop and re type your info. Compare the 3 after your editing is completed, then simply choose the best looking resume. It's oh so easy. It's really a fast way to help create your very own resume, and you will complete this in no time at all, maybe 10 minutes. 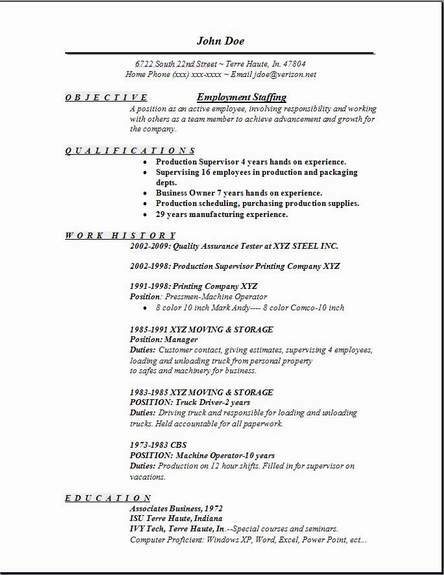 I really find all these free staffing resume examples very easy to use. 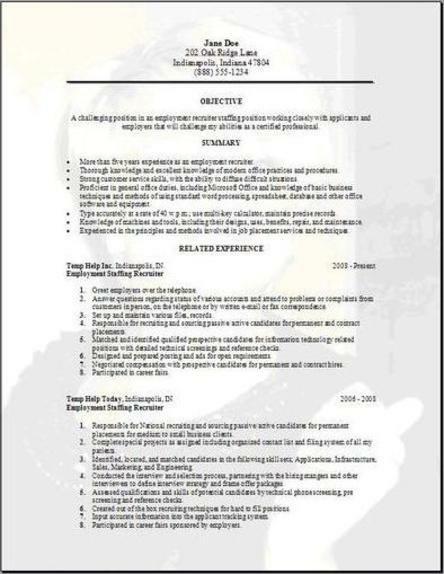 I hope using one of our resumes gets you a call for a job interview. Lots of ideas are available by visiting a few other pages on our website that you can get some better ideas of the look and format of the resumes. You possibly would add something in one of those to your own. The employment staffing industry has 3 main segments. Most will have a list from employers of listed employment position vacancies and they will then place permanent type employees in all those positions. Also known or referred to as staffing agencies that are temporary, provide their self screened employees to various companies, on a negotiated basis and only for small limited periods under contract, to provide temporary help to that client or companies workforce. They have a very small unique permanent staff, the staff will usually be only 10 workers. Their job function is to interview jobseekers then match up the people wanting temporary placement by examining their job qualifications and acquired skills, and matching those qualifications to employers that have that specific skill utilized in their job opening. If you enjoy helping to place job seekers in temporary positions with them being able to have a chance at full time status down the road, and you enjoy relating too and testing people’s skills, then this is the position for you.